“We are back on the radio this Thursday 28th and we can’t wait to play you some of the finest electronic music being made in Birmingham right now! Broadcasting live on Birmingham’s very own new radio station Brum Radio! Expect to hear nothing but local beats from genres ranging through the electronic music spectrum and guest producers and DJs will join us for interviews and guest-mixes to keep people on the pulse of Birmingham’s underground electronic music scene. 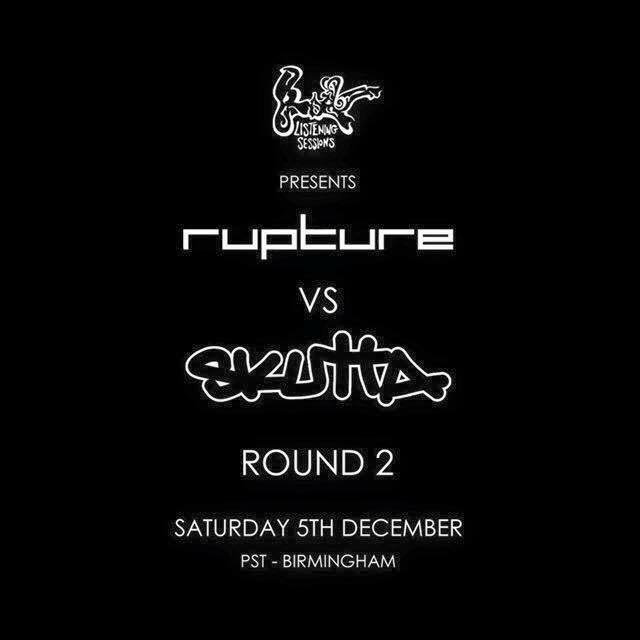 For this months session we will be joined by Brum’s very own Drum & Bass/ Jungle and Future Beats label Skutta Records! They will be live in the studio for an interview and guest-mix, heating things up for our heavily anticipated Club PST Digbeth 3 floor takeover next Saturday 7th of May, Listening Sessions presents: Rupture vs Skutta #3!! !